Stroll your way to a fully charged device. Gadgets and consumer devices, like smartphones, have become increasingly powerful, but while devices have improved, there hasn’t yet been much of a difference when it comes to batteries. Heavy usage often drains batteries fast. 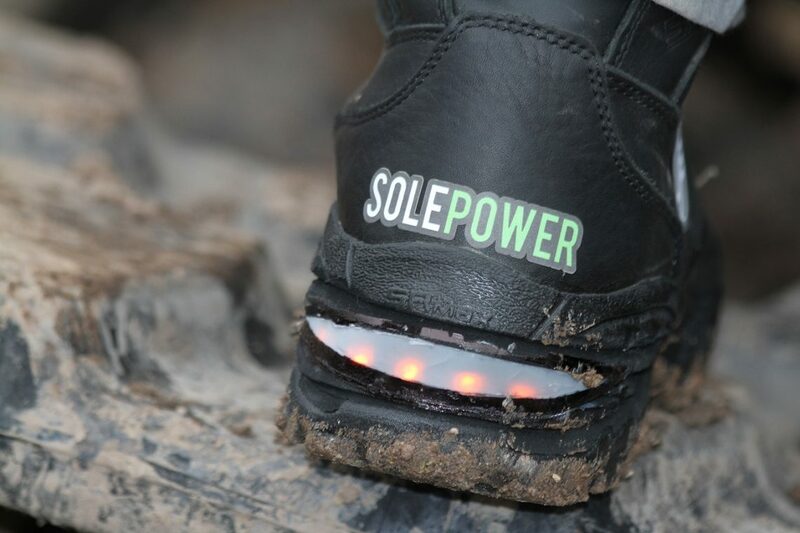 A tech startup called SolePower may have found a solution: charging while walking. SolePower wants to put an end to battery problems by letting you charge your portables just by walking. The first step along that path is an electric footwear called SmartBoots. SmartBoots are an innovative product that make use of an activity most people regularly engage in. A kinetic charger in the work boot generates power from walking, and that power can then be used to run GPS and sensors that detect motion, movement, and temperature. Applications for SolePower are plentiful. The company has already partnered with SR Max/Saf-Gard safety shoes to design boots that would solve problems facing industrial workers, and the footwear could eventually be used to bring power to developing nations, where access to electricity can be unreliable or altogether unavailable. “The mission of SolePower is to make self-sustained wearables to make people’s lives better,” explained founder and CEO Hahna Alexander, during an interview for the 2017 Mothers of Invention (MOI) by Toyota. The MOI seeks to honor women who, through innovation, invention, and entrepreneurship, contribute to society and their immediate community. Editor’s note: This article has been updated to correct errors regarding the design and development of SmartBoots.